E-cigarettes may look like, taste like, and even feel like the usual cigarette but with one vital difference: it contains no tobacco. The product was sold initially as a potential aid to curb smoking and is retailed exclusively over the internet and at mall stands. Now, it is marketed as a healthier and environmentally friendly alternative for smokers and it is readily available in convenience stores and tobacco establishments. Since it does not burn tobacco, can be laced with nicotine, and leaves a scentless vapour at its wake appeals to a lot of people. However, the Centers for Disease Control noted that about 21 per cent of adults who smoke the usual paper variety also patronize e-cigs, a significant 10 per cent increase from its 2010 data. About six per cent of adults in the United States have used e-cigarettes, double the number in 2010. Mike O’Neil, business manager of Smoke and Ashes Tobacco in Abington, noticed that sales have improved especially with the one dollar tax slapped on each pack of cigarettes last summer. 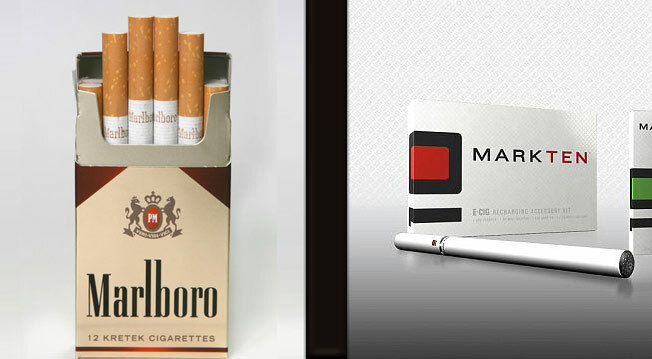 As e-cigarettes gain loyal following, the big tobacco companies wanted to cash in on the trend. Lorillard Inc., the third largest company of tobacco products in the country ventured in the e-cig market in 2012 by purchasing the brand “Blu ECigs” for USD 135 million. It is now sold by 100,000 retailers all over the US. In July, the second biggest tobacco corporation officially got in the game when it released its brand of e-cig, Vuse, in Colorado. Altria Group, America’s leading tobacco firm and parent-company of Philip Morris USA, released its first e-cig brand, MarkTen in Indiana last month. Massachusetts lawmakers have proposed a bill making e-cigs illegal for minors and prohibit its use in smoking-restricted venues. Other communities are looking into local prohibitions.